Beginner’s mind is a concept in Buddhism representing openness or lack of preconception. Simplifying the mental state allows for a clearer picture of reality. In many disciplines, we try to “advance” to higher and higher levels of learning, ability, or complexity. In Buddhism, beginner’s mind is a reminder to focus on the basics. The equivalent in a mathematics class would be to meditate on 1+1=2. Forget the Pythagorean theorem or differentials: do you really know 1+1? Most importantly, beginner’s mind reminds us to stay humble. Consultants can do great things only by listening and harnessing latent power of their clients. The smartest analysis is useless if it stays on PowerPoint slides, disconnected from execution. I suspect that successful people in every field draw advantages from spiritual practices. More examples? Here’s another reason you know you’re in Central America: good old boys. I suspect that American business was dominated thirty years ago by “good old boys.” George Bush is the perfect example. He joined clubs like Andover and Yale and Skull and Bones because his father did. He enjoyed immediate business prominence (if not success) because of his connections and swagger, not because of analytical ability. A quick glance at an incoming McKinsey class reveals that times have changed, with Bush’s elite cool exchanged for a distinctly middle-class (but not for long!) ambitiousness. Impeccably prepared and overwhelmingly dorky, the new American super-successes are represented by Bill Gates and Mark Zuckerburg, not new generations of Rockefeller. No Bush will be president from our generation. Meanwhile Zuckerburg still flounders in Latin America. His brain needs more brawn; he needs connections and a BMW when he turns eighteen; he needs to know the right people and have the cool to get them to join his website; he needs social value and it’s not going to come from anticipating trends in global social networking. Fifty years down the road, expect to see some convergence to a more technocratic business environment. But for now, good old boys dominate in good old (Latin) America. As previously expressed here and here and here, I think prevalent mobile GPS technology is a total game changer and holds great promise to improve our offline lives. 1) Time is money. And if there’s one place we waste a lot of time, it’s overbudgeting for car trips to account for traffic. If you MUST be somewhere at X time, you plan for the worst and leave a large cushion. Chances are you arrive early. GPS will largely eliminate the friction of time budgeting. It knows fairly precisely how long it takes to get from A to B because others are always driving all along the route you will take. It can ascertain current traffic conditions with unprecedented resolution by piecing together individual car speeds along the route in real time. You can count on your two hands the number of web businesses that have remained market leaders in their space for more than 5 years. Try comparing that to any other industry. I think this all is true. But I don’t think Facebook is unique here. Gmail‘s got them beat on all three counts. On the social graph (1): Facebook has your hundreds of “friends.” Gmail has your thousands of email contacts. Any measure of the strength of a social connection is skewed by Facebook usage patterns (e.g. your real friends never write “Happy Birthday” on your wall. Facebook power users do). On the other hand, your friends do email you in rough proportion to the strength of your relationship. The folks that show up on my gChat sidebar are a pretty damn good measure of who is most important in my life at any given time. On personal information (2): Facebook profile data is nice because it is standardized, but contains far less personal information than what’s locked inside my gmail account. The shear volume of information there is incredible and just a smart algorithm away from being a huge strategic asset. On Switching Costs (3): Switching costs for leaving Facebook for another service do exist. Building profiles is annoying. So is porting pictures. The data portability movement is going to snipe away at Facebook switching costs soon enough and we are already seeing it open up more. Gmail owns me. And even if a moderately better service existed, I would not switch. My inbox and outbox are the two most important pieces of property in my life. Unfortunately I don’t own them. Google does and therefore has me captive. Gmail’s got the staying power and is going to be around for a while. Facebook may or it may not. Time will tell. Was chatting with the head of Endeavor Chile the other night about the current state of the entrepreneurial environment in the country. Although he was too modest to attribute everything to Endeavor, he was confident that the environment had changed quite a bit in the last ten years. What he was describing was not simply the emergence of new entrepreneurs. He was describing the formation of entrepreneurial infrastructure — an ecosystem to support entrepreneurship. You need publicity. This includes journalists who write about start-ups and readers who want to read about start-ups . Silicon Valley has all of these and it is no wonder the place is the world’s entrepreneurial engine. Many emerging markets do not. We think of entrepreneurship as the solitary, unsupported work of individuals. The truth is there is a support apparatus that makes it all possible. Tyler Cowen has a fun thought experiment over at Marginal Revolution. 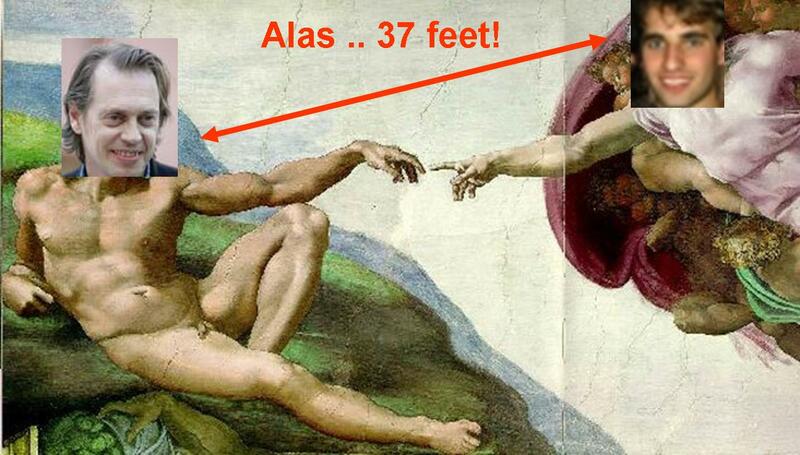 The discussion in the comments section really brought out the medieval geeks. Is there any way [you] can leverage knowledge of modernity into socially valuable outputs? Would prattling on about sanitation and communicable diseases do him any good? I’ll add another thought experiment to this (courtesy of Dean Karlan): What if you were transported to a rural village in the developing world without any connections or possessions. Would you do better or worse than the average village dweller? Certainly there would be the obvious disadvantages — lack of language, the relevant practical skills and cultural knowledge. I go back on forth on this one. Sam has some nice thoughts in Barefoot Basketball. Opinions? Disappointed readers, I regret to inform you that we have no additional information on Michael Seater wearing short pants. 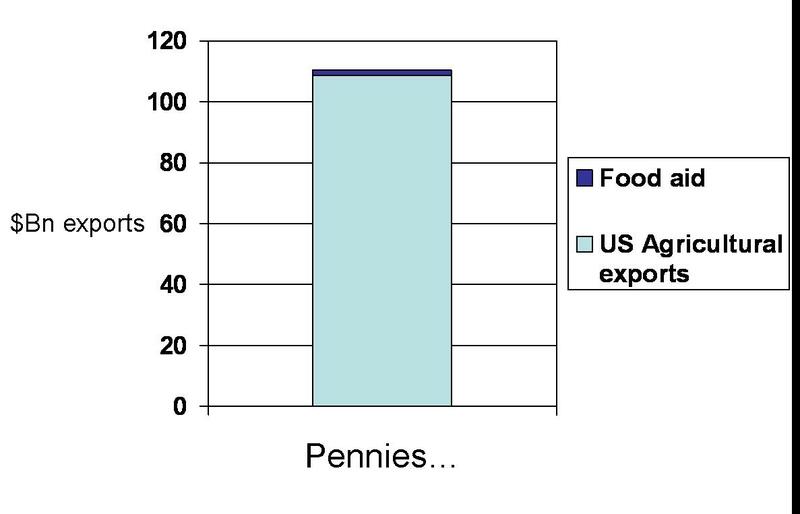 Sam and I have been far too benevolent in sparing you from unrepetant econ geekery. That is until now. 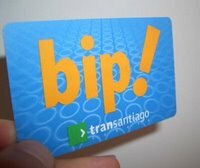 Similar to New York and Washington DC, residents of Santiago use stored value cards to pay for public transportation — the onomatopoeically named “BIP” cards (based on the beeping sound the machines make after you pay). (Sidenote: The subject of public transport in Santiago is actually quite fascinating. In 2007, the city undertook a top-level wholesale redesign of the entire system, which was formally largely decentralized. The results have been disastrous, resulting in a precipitous drop in the President Michelle Bachelet’s approval rating. Transantiago is her Iraq War from a public approval standpoint. Some thoughts from the Antiplanner here.). When people scan their BIP card, the remaining account balance is displayed on the scanner screen. I’ve noticed that the average card balances are usually less than 1000 Pesos (about $2.20 or 2.5 trips). This means that people who commute on public transport everyday are constantly charging their cards. I usually load mine up with 10,000 pesos each time ($22 or 25 trips). Why waste the time filling it up so often? But it seems that my preference for keeping a 10X balance to the average Chilean can not be fully explained by 1) (my relative wealth) and there is no reason to believe that 2) and 3) would be so different for me. Chile is not an impoverished country. This can not be explained by working capital constraints. GDP per capita is around $14,000 and is probably much higher along my bus route in my wealthy neighborhood of Santiago. What gives? Any ideas? Why do people wait in line to charge these cards almost every day? Also, is there an interesting natural experiment on how people value money hidden in the BIP card data? Seems so, but I’m having trouble formulating it. How do you know you’re in Central America? How is this possible? It is because the world is grooved. Let me give you more details. I work in a fancy office with advanced temperature control and classy art. I don’t live in a shack but a nice house with roommates. The “locals” I work with speak very faintly accented English and most have at least one family name (out of two) that sounds American, German, Eastern European, Italian, or otherwise not Spanish. The office is international and overwhelmingly white. My new friends and colleagues are fun, educated, generous, and considerate: I like these people. Everyone is well traveled and lists traveling as an “interest” on Facebook. Everyone watches Youtube while they pretend to work. So how do I know I’m not in New York? I see it in subtle differences. Bottles at the club cost a lot less than at Crowbar. No one does dishes – at home, in the office, anywhere. Someone else does that. The one guy with all Spanish family names lets you in on a secret: he is a direct descendant of Juan Vázquez de Coronado. No one walks – you’re almost not allowed, and the public bus… hahaha that’s funny. There are no sidewalks, which seems natural because no one you know walks. When you’re driving you try not to hit the people walking on the street but you’re not sure who these people are because they don’t look like the people you know (whom you’ve never seen walking). Most of these differences (but not all of them) point to a more stratified society, which Central America certainly is. What I found interesting was the ease with which I could (with my new friends) sit atop that stratification and live fairly similar to a young, liberal American in New York, looking down at the other stratas (e.g. developing countries) yet being insulated in a much smaller world. 4,000 miles from all I knew in New York, the world feels close. When I see those people walking on the street, I’m sometimes reminded of great distances, glimpses lasting for one brief second.